Today was my grandma's birthday. She turned 75 today. But I think she doesn't look like that age. Looks more younger. I've gave her photo stand and picture of me and her in it. And the letter . "Oh I'm going to cry." Then I saw her tears. I've saw her crying is only few times in my life. She never show her crying front of us. But today I saw her crying I just felt she got old. Everything is cos of age. In the near future I want her to see me get married and have a baby. Hi what a tender post! you made a nice present for her. 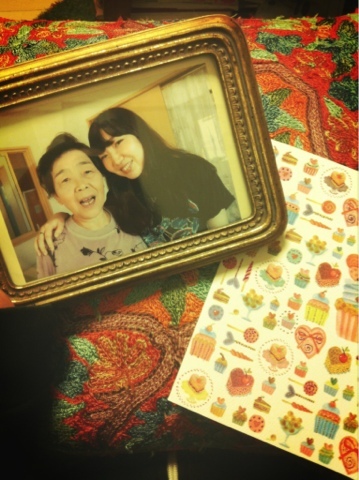 im so proud of being her granddaughter :) yeah she must see me in white dress in the future.